gens AFRANIA (150 a.C.), Roma. 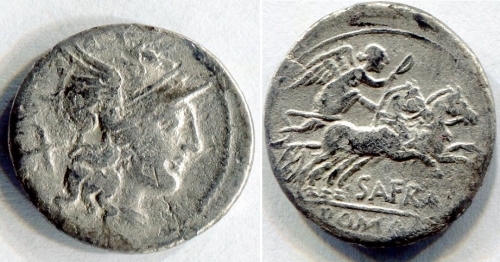 AR Denarius (3,38 gr - 19 mm.). R.\: SAFRA - ROMA in ex. ; Craw 206. MB. NC.